People need replacement windows for many reasons, including functional and aesthetic improvements. 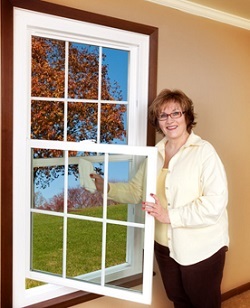 Installing new windows will always be a way to help you save on energy costs and enhance your home's curb appeal. Metal frames that raise your energy bills. Wooden frames that always need painted and have a high level of expansion and contraction with moisture. Windows that don't slide up and down anymore due to a broken balance cord, which leads to safety hazards. Condensation between the panes of glass, which is caused by glass seal failure. Air leaking into your home even when the windows are completely shut, which is a sign of poor installation and/or aged windows. If any of the above problems exist with your current windows, replacement windows could be a wise investment that reward you with lower energy bills and a better looking home for years to follow. Is a "Swing" Window Really All That Different Than a "Tilt" Window? It is if you consider being much easier to clean and operate to be a lot different. Tilt windows have been around for decades, and they are better than windows that don't tilt/swivel at all. But for ease of use, nothing beats a swing window. Our swing windows offer superior energy efficiency as well. They were specifically engineered for Western PA's cold winters, and can lower your energy bills by a significant amount. What Kind of Window is Best for Me - Vinyl, Wood or Fiberglass? Vinyl: We manufacture vinyl windows because we firmly believe they are the best choice for most homes. They're efficient, durable, and attractive if installed properly. Fiberglass: Fiberglass windows are good windows (in most cases) to be sure, but they often cost a lot more money for small or no gains in efficiency — plus they don't offer a swing window. Wood: Wood windows are a good choice for some homes that require a historical authenticity or have color matching requirements. But wood windows are a veritable maintenance nightmare — they have to be scraped and painted periodically if they are painted, and they will warp over time. Not the best choice for most homeowners. However, if a wood window is something that you need to maintain the look of your home, we do carry a beautiful line of wood windows to choose from. They just won't swing open like our vinyl swing windows. What Kind of Windows Does Energy Swing Windows Offer? The good thing about a custom window replacement company is that the possibilities are endless when it comes to the window openings in your home. 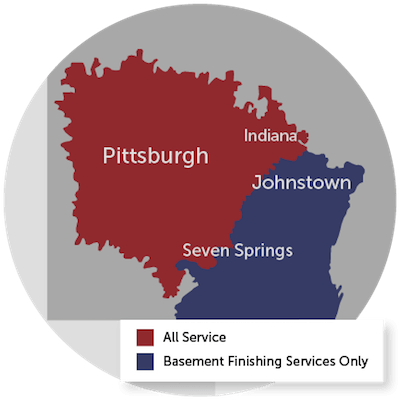 At Energy Swing Windows, we custom make all of our own vinyl swing-in windows in our manufacturing facility in Murrysville, so we should be able to fill most any request! In addition to our vinyl swing windows that can be coated in almost any color you can imagine to fit your home's exterior or interior, we also offer a line of beautiful custom wood windows for homeowners who are looking to maintain their homes' wood look. Our windows have always exceeded government standards for energy efficiency and they always will. Furthermore, our one-of-a- kind swing-in double hung and slider windows remove much of the hassle associated with cleaning your windows. You'll never have to go outside and climb a ladder to clean them, nor will you have to stress over lifting heavy tilt windows. If you're curious as to how our windows work, please watch our demonstration videos on this website, or visit our showroom in Murrysville, PA to test them for yourself. What Makes Your Window Glass So Energy Efficient? The simple answer is our use of Low-E, argon-filled glass. But what does that mean? Low-E glass uses an atom's thick silver coating on the inside of the glass and works like a heat reflecting mirror, bouncing heat back toward the direction it came from. In the hot summer months, Low-E reflects heat back to the outside of your home, keeping your house cooler. During long, cold winters, Low-E reflects interior heat back toward the inside of your home, keeping you and your family warmer. Low-E coatings also protect your home's interior from sun damage. It drastically reduces the fading of any carpet, wood, furniture, and drapes. All of Energy Swing Windows' swing-in windows have extensive Low-E coatings. High-performing insulated glass units replace the air space between the two panes of glass with a lower conductivity gas, such as argon. This helps to reduce the transfer of heat because argon is more dense than oxygen and slows the conductivity of hot and cold air. Ultimately, this feature helps lower the cost of your energy bills each month. Whether you're getting new windows or simply replacing the glass in your current ones, these are two features you should look for in your new glass. They're energy efficient and, hey, energy efficiency saves you money in the long run. What's the Difference Between U-Value and R-Value? R-Value is a rating given in construction to indicate how well a material insulates. The higher the number, the more insulation you are getting and the more money you are saving in energy costs. Please be aware that a lot of window companies will say they have an R-Value of 25 on one component (say, just the frame of their window). However, you need to be sure to get the R- Value of the window as an entire unit, which is realistically between 2 and 4. U-Value is similar to R-Value, but there are two major differences. First, the U-Value rates an entire window or door unit, whereas the R-Value only measures specific materials. Second, the lower the U-Value, the more energy efficient your home will be (as compared to the higher R-Value being more energy efficient). This difference in scale exists because R-Value rates how much heat is retained, whereas U-Value rates how much heat is lost. Energy Swing windows meet Energy Star efficiency standards with a U-Value of .3. Chances are, if you have a construction crew in your home doing renovations, you want to know what you are in for as they work. Our installation crews not only replace your windows, but they also check for rotted wood and bad insulation, and replace them as necessary (which is included in the installation at no charge to you). We take careful consideration to send out installation reminders and a list of things to do before the installers arrive. We also take the time to discuss the project before, during, and after the installation. Once the installation is complete, our installers will review how the windows work and also go over the warranty information. We want you to be informed and understand how everything works to ensure your 100% satisfaction. Our installation crews are very receptive to any questions you may have and are trained to perform at an extremely high level as experts in their field. If you have any questions during the installation, please don't hesitate to ask an installer. Furthermore, no one wants to clean up a mess they didn't make, so we will remove and dispose of your old windows (and other materials) at no charge. In addition to removing unwanted materials, the crew also lays down plastic carpet covering and dropcloths at every opening to respect your home and your belongings. After the job is complete, the windows and surrounding areas are cleaned, leaving your home in the same condition as when the installers first arrived. Some of our customers have even said that our crews have left their homes cleaner than they were before we showed up. Now that's a compliment that makes us really proud! I've Seen Ads for $189 Windows - Do You Sell Any in That Price Range? No, and truthfully, neither do the $189 window guys. The fact is, that's a "bait and switch" tactic designed to get their phones to ring. When people do call, they find out that $189 windows have ZERO "Low E" coatings, which means their energy efficiency is almost non-existent. Selling such a window would be completely irresponsible, and isn't even legal in several states. Those companies try to upsell more expensive windows that are more efficient. We hate playing pricing games, and instead offer a straight-forward approach to pricing. This is one of the most commonly asked questions from homeowners. In comparing price, it is critical for you to understand what you are getting for the money you will be investing. Make sure you are making an "apples to apples" comparison. Finally, make sure that you get everything that was promised in writing. If it is not in writing, it's not going to happen, no matter what the nice salesperson said. If a price sounds too good to be true, it probably is and some critical ingredient is missing. For a quality window, properly installed by a good company with a solid reputation for repeat customers and referrals, the price range is $600 - $1,500 per window for replacements placed inside existing (and structurally intact) window frames. Double-glazed windows with Low-e glass, or those filled with argon gas increase energy savings but bump the cost to the higher end of the scale. New replacement windows ranging in the $200-$400 range will leave you with what is called a rental window. A "rental window" means that you put a band-aid on your home, and in the near future, you will be replacing your window again. There are many reasons for this and they range from being an inferior product to a poor or severely lacking window installation done by an uninsured subcontractor. You also need to look for pitfalls in the warranty. Extensive dry rot or other damage around existing windows may require repairs before new windows can be installed; the cost will depend on the amount and type of work needed. 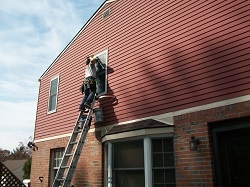 Be sure the estimate includes disposing of the old windows. So, why the diversity in price? While some companies are only in the business to engage in a "one-shot" transaction, the more reputable companies are in business to build relationships and make a small profit. These type of companies build their business slowly through word of mouth and impeccable reputation for integrity, honesty and service. This type of window company has clients that know that at any given moment they can call on their company and know the phone will ring, someone will answer, and their problem will be solved. How Long Will My Appointment Take with Energy Swing Windows? That mostly depends on you — how many questions you have and how much detail you want us to go into regarding the project. Generally speaking, we're in and out in about 45-60 minutes per visit. We'd be happy to stay as long or short as necessary. What is Condensation Between Glass Panes in Windows? If your windows are relatively new, it is worth checking to see if the glass unit is under warranty. However, the labor to replace it might not be covered.